There is something special about places where people work, live, laugh and love together. Wellington is one of those rare gems. This little town was started in 1905 as service town between larger cities and has maintained most of the charm from years past as evident in the buildings and friendly residents. It is located on I-25, 26 miles from Cheyenne, Wyoming, 10 miles from Fort Collins, and a quick run to DIA in Denver, 65 miles south via I-25. The view of the Rocky Mountains forms a majestic backdrop to the city. It is still surrounded by a huge amount of farm land - including Grant Family Farms - one of the largest organic farms in the United States. As for weather, well it is just like every other city in Northern Colorado. An average of 300 days of sunshine a year, and relative humidity averages about 35 percent year-round. Summers are warm and have pleasant, cool nights. Occasionally, a cold winter storm keeps people indoors, but the snow often melts as fast as it falls. The area is smog-free with a large sky that invites stargazers from all types of life. I think the weather and open spaces has something to do with the way people seem to want to stop and visit on Main Street. Most of my clients I have sold homes to in Wellington rave about the small-town "friendly flavor" of the place. Housing is priced great too, beating out the pricing of homes and condos further to the south in other Northern Colorado Cities. Start searching for Wellington homes above or keep learning more about this affordable town here. 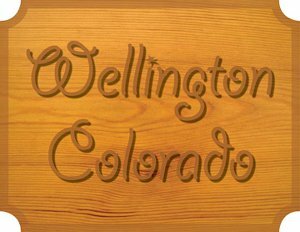 Curious About the Health of Wellington Real Estate? Here is a graph of homes sold over the last three years here. For a deeper info make sure to click the graph below. For an interactive version of the above graph, click here. Wellington is an affordable small town with a close knit and friendly feel. 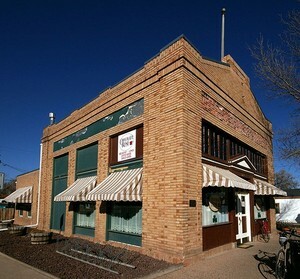 It is an agrarian community and resides in the heart of some of the best farm ground in Northern Colorado. Its population, however, is very diverse with residents coming from a wide variety of backgrounds. The average age of residents is 32, but it does have a real appeal to retirees too. The homes in this town are some of the most affordable in Northern Colorado and you will get a lot of bang for your bucks if you purchase a home or a condo here. It has grown by over 1100 residents in the last 10 years. The town fathers indicated that they are working on getting new parks and trails in place to make the town more attractive and inviting to potential new active residents. People who live in Wellington seem to really love it. There is something special about this little town north of Fort Collins. Its hidden treasure will always be the people and their commitment to each other and this city that has survived the test of time. Their commitment is highlighted by a strong family foundation, continued growth and a desire to succeed. This is a city that loves coming together. Despite its size it hosts many recreational activities including adult softball and volleyball leagues, many youth sports and outdoor activities. From its family friendly Fourth of July Parade to the annual House Lighting contests, local residents share their lives. Looking for extensive and diverse community information on the current housing market in Northern Colorado please contact us or dig deeper into our blog with 100's of articles on the area. If you’re ready to get back to a place where your talk with your neighbors, know your children’s teachers and enjoy the important things of life call me at 970-412-1657. We can also talk about the surrounding areas and the value of loving the place you call home.